their desk, it’s fairly obvious to see that pens rate highly on the useful promotional gift scale. The main advantage of the range of Senator pens we carry is that they’re durable, contain long lasting ink and have a crystal clear high print quality. Every plastic Senator pen is fitted with “magic flow” long life ink refills, with print guaranteed to last the lifetime of the pen. Not only that but they have super cool names like Dart, Liberty and Challenger which we think adds kudos to an already impressive brand. Available in a huge range of colours, these promotional pens have matt, soft touch, clear and polished finishes so are suited to any business. The designs can be personalised to promote your logo or for an event. Due to fast turnaround times, if you change your branding or need extra items it’s easy to order a new batch in a hurry. Another huge advantage of promotional pens is that they’re a relatively low cost investment to promote your business. Ordering in bulk typically means they’re competitively priced and accessible for all budgets. Brands naturally want to benefit from higher levels of advertising exposure. With a Senator pen you can because the long life ink refills typically contain up to 6-16 times more ink than an imported pen so will stay on someone’s desk for a more lengthy period. Not only is it useful to your brand as a promotional tool but it’s something that the user will enjoy because of the quality and practicality of the product. 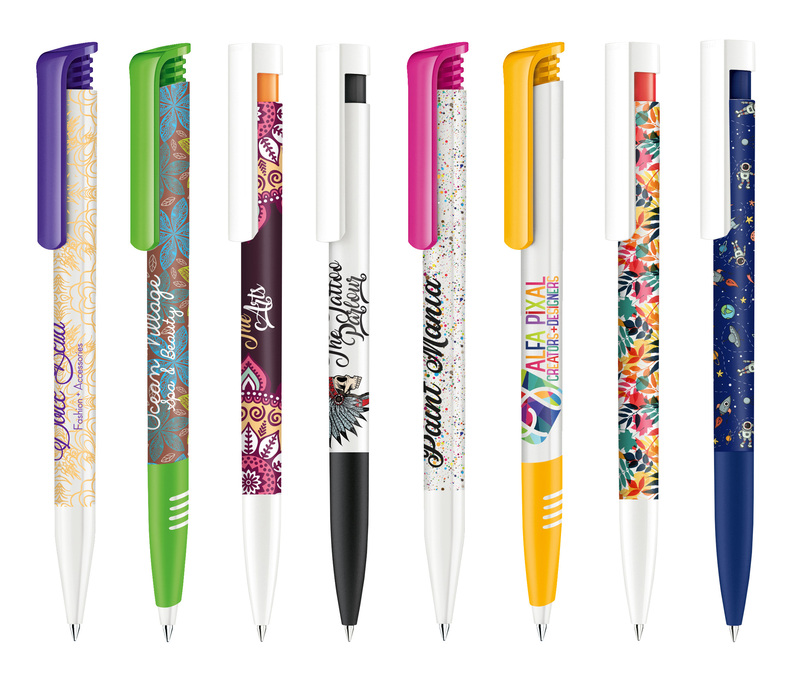 Senator pens are safety compliant and environmentally responsible, containing up to 95% recycled materials. The Senator Nature Plus offers a range of certified biodegradable materials. Green brands might like to know the PLA for the bio-plastic used in Nature Plus is derived from sugar cane – a renewable and non-finite raw material. With both safety and eco compliance highly rated and forward thinking, these low carbon footprint pens are beneficial to brands and the environment. A surefire way to make a lasting impression on your clients and stand the test of time. *Research conducted by the British Promotional Merchandise Association at Marketing Week Live 2017 and B2B Marketing Expo.